7 Elk Rd Earleville MD Waterfront Home for Sale - Waterfront Under $400K! This Earleville MD Waterfront Home sits Just steps from the Sandy Comunity Beach in West View Shores. If You are looking for a Waterfront Cottage at an affordable price. This Is It! Enjoy the Sunsets in West View Shores where the Elk River meets the Chesapeake Bay. 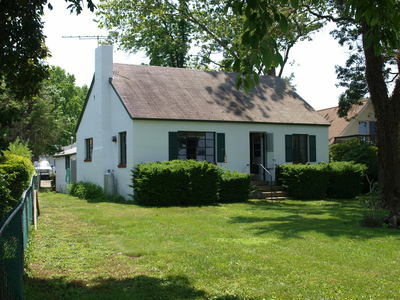 This Cottage has great potential with 4 bedrooms, and 1 Bath, 1 car detached garage, and Outdoor Shower. The shaded level lot leads to the water with complete bulkhead!